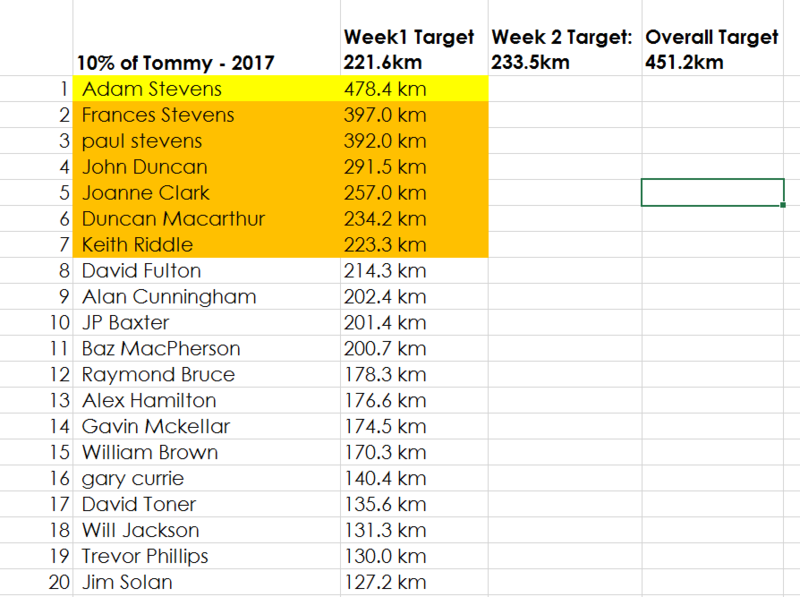 Our 10% of Tommy mileage challenge enters it’s second week with the Stevens family (Frances, Paul, Adam, and Laura) firmly planted at the top of the leaderboard – The guys showed true professionalism by travelling all the way to Mallorca for our ‘Tommy’ challenge to ensure the best of conditions for the competition. Rumour has it that ‘Big Dunc’ is currently greasing his axles in preparation for a mileage assault this week. You’ve been warned ! 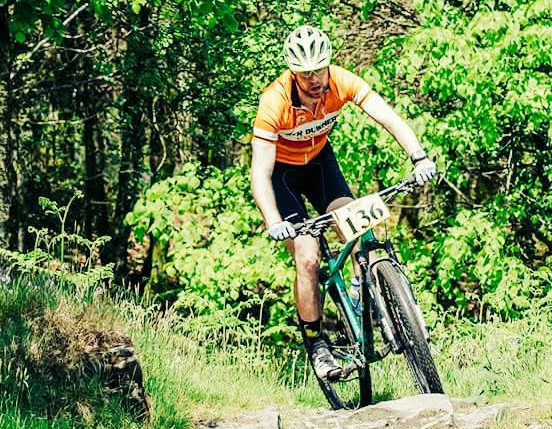 On the domestic scene Will Jackson came back from a long forced lay off to post a great time of 4hrs and 49 minutes at the Etape Sportive, whilst on the off-road front Henry Cruikshank and partner Lucy took 2nd place in the mixed pairs at the Hillbilly Duathlon. Kevin Pugh has been known to do crazy things and last weekend was no exception. The Goat Fell Hill Race is a gruelling run/scramble up to the summit of Arrans highest peak and back down again. Kev completed the 9.5 mile race in 1hr 54 minutes. Impressive stuff ! 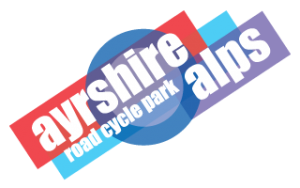 Race wise Gary Currie showed the Burners colours on the picturesque A78 at the Bill Moore Memorial TT, whilst JP pinned the numbers on for the Dunlop Road Race. We’re glad to report that both survived their respective ordeals. Special mention to Big Gav, Gary, and Dave Toner for volunteering their time at the Dunlop race. 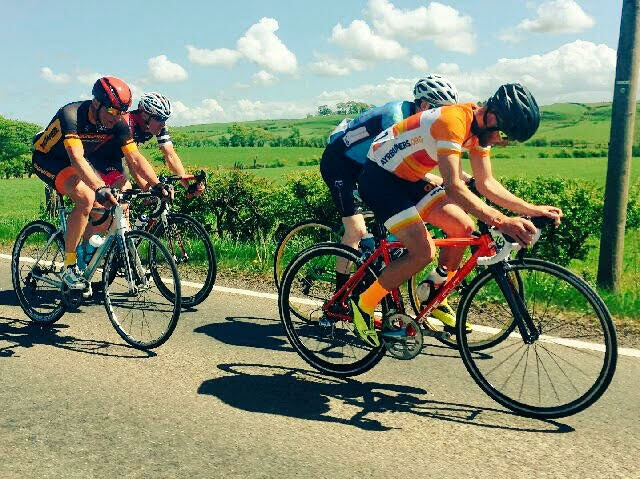 This week – Barnwell TT on Thursday evening and Troon family ride on Sunday morning.